Sherman Thacher began his professional career as a brewer after graduating from UC Davis. He quickly discovered a readiness for the business of fermentation. Michelle Thacher began her career in the software industry after graduating from UC Santa Barbara and found a love for marketing, traveling and meeting people. During these early years, they would frequently visit Paso Robles and all it took was one barrel tasting on a beautiful Fall evening to convince them that Paso would be their future home. They married in 1998 and began a property search to realize their precarious dream of building a winery, growing wine grapes and raising children. 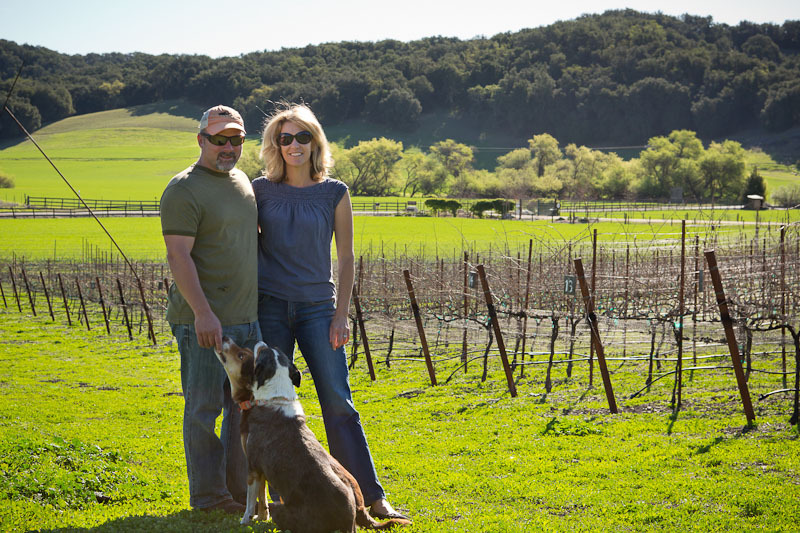 After ten years of determination, optimism and some luck, Thacher Winery and Vineyard opened to the public in 2008 (although the first harvest was in 2004) and has been growing ever since. Thacher currently produces 4,500 cases annually of premium wines, mostly Rhone and Zinfandel varietals. With Sherman as head winemaker, the handmade wines are crafted with minimal intervention using native fermentation techniques that showcase the fruit from the esteemed vineyards. The Thacher blends as well as the straight varietals demonstrate the unique but astounding diversity that California’s beautiful Central Coast has to offer. Sherman and Michelle invite you to join them on a voyage down the stunning Rhone River from Lyon to Arles. This is a holiday that combines history, wine and fine dining with scenic transition from the lush countryside of Northern France to the more arid landscape of Provence. Along the way you will experience new (there will be plenty of Thacher wine on board) and old world wines, fabulous French cuisine, and the charming towns of France’s Rhone River Valley for a once in a lifetime wine experience! Please note: This tour and cruise program is created solely for Thacher Winery by our tour operator, Expanding Horizons of Tustin CA in conjunction with AmaWaterways. The pre and/or post-cruise program will contain private meals, tours and/or visits to attractions. These additional services are exclusive to guests on this cruise who book their reservations with Expanding Horizons. Persons booking with alternative travel agencies will not be included in these activities.